In binary options online trading, you can profit in many different kinds of markets, even flat markets—but most traders are still going to that make them money when markets are trending. In order to profit from a trending market, though, you first need to know how to identify a trend. The earlier you can spot one, the better. That way you can get in on the trend as it is forming and then ride it out as long as possible to rake in the profits! But how can you identify trends? In technical analysis, there are a you can use to visualize market movements. Here is a quick rundown to get you started! Trend lines are not indicators, but rather tools that you can use to improve how you visualize what is going on when you look at your charts. They are exactly what they sound like—straight lines you draw across your charts to denote upward or downward movements. How you draw them is up to you based on what works for you. Usually you will see them across the highs or lows. What do you get when you draw two trend lines—one connecting highs, and the other connecting the lows of the same bars? You get a channel defined by those two trend lines. Price is trending upward or downward, but it is doing so inside that channel. Assuming the trend continues, you now know roughly where you can expect to find . Price will usually hesitate right around those trend lines as it tests them in the future. Channels of course can also be drawn in flat markets. Moving averages are among the simplest and most straightforward technical indicators used in trading. They are also some of the easiest to learn how to use. Conceptually they are simple, and setting them up takes seconds. When you have them in place, they can help provide context to market situations. The most basic type of moving average is a “simple” moving average. To get a simple moving average, you add up the last X closing prices, and then you divide the result by X to get an average. In effect, this provides you with a line representing a smoothed-out version of price movement. There are three main types: simple moving averages (SMA), exponential moving averages (EMA), and weighted moving averages (WMA). With a simple moving average (SMA), all the data points are given equal weight in the calculation. With a weighted moving average (WMA), recent data is given the greater weight in the calculation. With an exponential moving average, the same is true, with the value given to past data decreasing exponentially. As a result, exponential and weighed moving averages are less smoothed-out than simple moving averages, and follow price more closely. They reflect what is happening now more strongly than SMAs. The larger the number “X” you put into your trading platform, the slower and more smoothed out the moving average will be. A 30 SMA will follow price more closely than a 62 SMA. A 5 SMA will follow price more closely than a 30 SMA, and so on. There are some other types of moving averages which have been introduced over the years as well. These types are not as commonly used, but may be useful to you. For example, there is a smoother and faster type of moving average called a double exponential moving average (DEMA), which was developed in the 90s. Basically, you get a smoother line with less lag time. There is another even smoother and faster version called the triple exponential moving average (TEMA). When you plot moving averages on your charts, you get a feel for the movement of the trend. The fast-moving averages help you see what is taking place right now, while the slower-moving averages give you a better idea of the overall trend. These are wonderfully versatile indicators, and are great for putting context around your trading method. The Advance Decline Line is an indicator you can plot on your chart to visualize the state of the trend. When you plot the ADL on your chart, and you see it rising while price is rising, that indicates a healthy bullish trend. If you plot the ADL and it is falling while price is falling as well, then you have a healthy bearish trend. If however you spot divergence between price and the ADL, then the trend may be about to pause or reverse. Note that this divergence may go on for some time before anything happens (assuming it does), and does not indicate that an immediate change is imminent. This is an indicator which is designed to tell you whether or not a trend exists. It takes the form of an oscillator which ranges from 0 to 100. Basically, if you see the ADX ranging between 0-20, you are looking at a weak trend, whereas readings from 20-50 indicate a moderate trend. 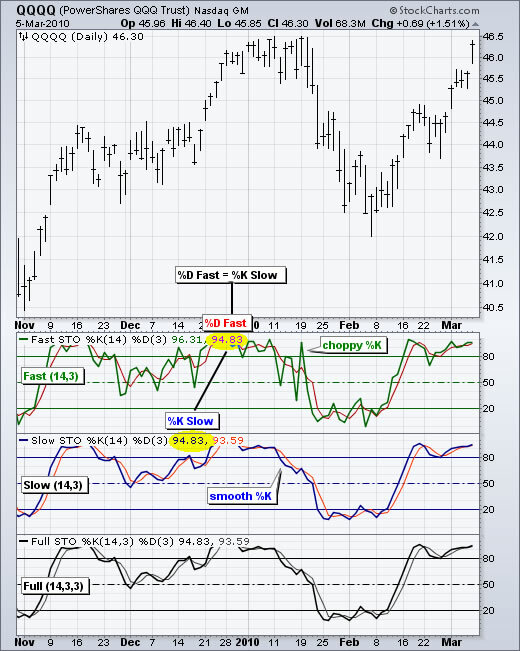 When the ADX is ranging above 50, you are seeing a strong trend. The ADX tells you nothing about the direction of the trend. You cannot see whether the market is bullish or bearish, just whether it is trending and how solid the trend is. The ADX is great for confirming the existence of a trend, and for alerting you to when a trend may be weakening and it is time to get out. There is also a related indicator called Average Directional Movement Index Rating (ADXR). The ADXR is basically a smoother version of the ADX. You can think of this as a parallel to the discussion about moving averages earlier. Just as the simple moving average is a smoother alternative to the exponential moving average (which places more value on recent data), the ADXR is a smoother alternative to the ADX. The ADXR emphasizes long-term trends, and is less responsive to recent changes than the ADX. Moving average crossover systems are popular for determining when there is a possible trend reversal. You can similarly use crossover systems where you plot both the ADX and ADXR lines. The parabolic SAR is one of the easiest indicators to recognize at a glance when you see it plotted on a chart. You will see dots which appear above or below the bars on your chart. Using it is extremely simple. If the dots are appearing below the bars, it is telling you that it is time to buy. If you see the dots start appearing above the bars, now it is time to sell. Just make sure you do not try using a parabolic SAR in a choppy market. Basically, you should only use this indicator when you already know a trend exists. Do not use it when you are not sure, or you will just a lot of conflicting signals. On first sight, this can be a confusing indicator for beginners, but once you get the hang of it, you will find it handy and relatively easy to use. It’s great for identifying both bullish and bearish trends as they are forming and for spotting reversals. The MACD shows up underneath your chart and includes two moving averages and a histogram. One of the moving averages is faster and one of them is slower. When you set up the MACD, you pick three numbers. One of these is the number of periods that will be used to generate the slower moving average. The other is used to calculate the faster one. The third is used in calculating the moving average of the difference between the two. A new trend is indicated by the MACD when you see the faster moving average crossing the slower one. Look simultaneously for divergence to form in the histogram (the histogram bars should widen). When you see the MACD diverging from the price on your chart (going the opposite direction), that can signal that there is about to be a reversal in price movement and a new trend in the opposite direction. This is an oscillator which is similar to the MACD. You input three numbers, as you do with the MACD, but the PPO displays the results in terms of percents. A PPO works much the same way as the MACD with the same rules concerning convergence, divergence, and crossovers. These candlesticks are an intriguing alternative to traditional Japanese candlesticks. Whereas Japanese candlesticks show you the open, high, low, and close, Heiken-ashi candlesticks provide you with a unique visual interpretation of what is happening in the market. They do not give you the open, high, low, and close. Instead, their shape is based on the trend. Say for example you have a price bar which has a low open and a higher close. If the trend is bearish, this bar will display as bearish. It will show red instead of green. You will probably find these candlesticks somewhat unusual at first, and possibly even confusing. Many traders find that they are a great visual cue, however, and adapt to using them for an easy and immediate visual indicator of trends. Now you have some great tools and indicators you can place on your charts to help you see trends. Most binary options online brokers provide only the most limited indicators and tools for your use, so do not be surprised if your broker does not offer many or any of these tools. Thankfully there is an easy and free workaround! On page we introduce you to different charting platforms you can use. You can use these programs for free, which is amazing in light of how much utility they have and how much power they give you. I recommend that you try plotting all these different types of indicators and scrolling through historical data. Look at different types of markets and different conditions and situations. Make observations and take notes. Save images that contain excellent examples of new trends, steady trends, and reversing trends. Keep these as references for when you are hunting for entry points later. If you notice that you have an intuitive grasp for any of these tools, you can start looking up trading systems that make use of them, or you can work them into your existing trading methods. Once you get a feel for them, you will have a much easier time visualizing trends and identifying movements in the markets. And that is the key to profiting with binary options online!